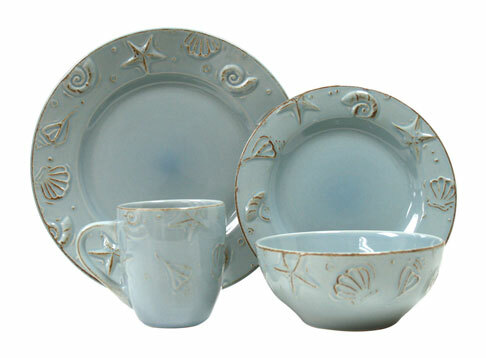 Reminiscent of fun-filled beach vacations, this collection is embossed with whimsical seashells and starfish in ocean blue. Each piece has been lightly dusted with an earth tone pigment for a more defined dimension. Cape Cod is great for summertime dining, but can be used year round. Also available in cream and off-white.